So you're ready to explore King George Island and the Antarctic Peninsula - and no Drake Passage crossings required! 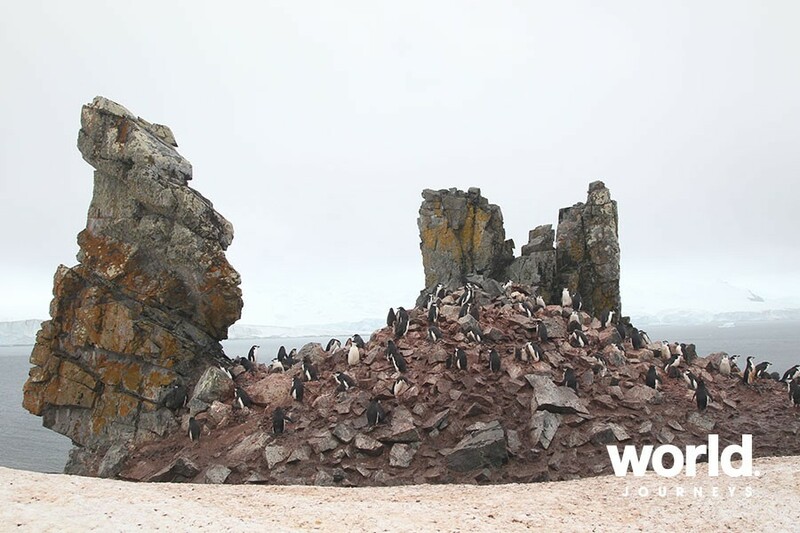 Included charter flights between Punta Arenas and Antarctica have you experiencing the majesty of the Seventh Continent with a spectacular aerial view before transferring to your ship in no time. 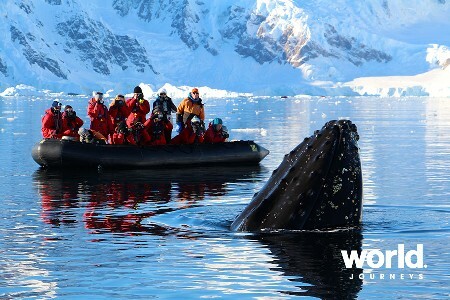 Keep your camera ready as you Zodiac cruise in search of whales, seabirds and astounding icebergs. 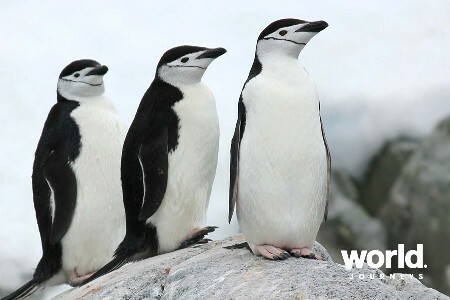 Beaches dotted with leopard seals and penguins give way to icy plateaus, with snowcapped mountain peaks looming behind. You'll find yourself thankful for the near-constant sunlight by which you can continue to take it all in. Your ship: Ocean Adventurer: As of June 2017, Quark Expeditions' much beloved polar expedition ship the "Sea Adventurer" will be undergoing a multi-million-dollar renovation and be officially renamed the "Ocean Adventurer". The new and improved Ocean Adventurer is designed to carry 132 travelers in comfort to the most remote corners of the world. Originally built in Yugoslavia in 1976, this nimble, ice-strengthened ship has become a passenger favourite over the years, and underwent refurbishments in 1999 and 2002 with the most significant being in 2017. • A refreshed, contemporary new look and feel throughout the ship. • The addition of six new twin cabins and three new suites. • All existing cabins will be furnished with all new soft furnishings and brand new bathrooms. • Main common areas such as the Lounge and Dining Room will be remodeled as well as the Bar. • Major technical enhancements - include two new Rolls Royce engines. 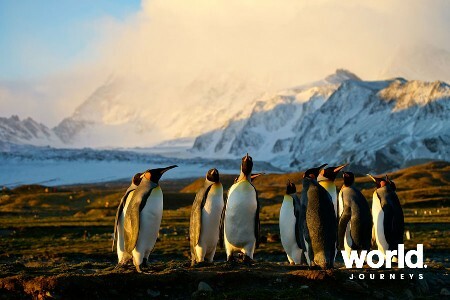 Day 1: Punta Arenas, Chile Your adventure begins in Punta Arenas, Chile, the most populated city in Patagonia. If you arrive early, there are many museums, restaurants and shops to keep you busy for days. By early afternoon, a Quark Expeditions representative will bring everyone together to your starting hotel, where you'll enjoy a welcome dinner and be briefed about preparing for your embarkation day. 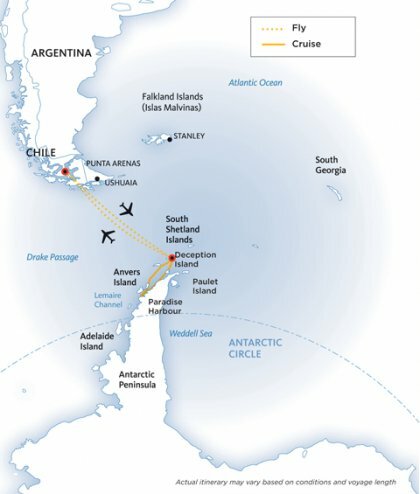 Day 2: Embarkation Day Your charter flight from Punta Arenas to Antarctica will have you crossing the infamous Drake Passage in only a few hours. Way below, the ship is approaching King George Island for your arrival. The dramatic Antarctic landscapes soon become visible as your plane descends for landing in the South Shetlands. After landing, stretch your legs and spend some time exploring the island before being transferred by Zodiac to your ship. Meet the rest of your shipmates and set sail for the Peninsula! Days 3 to 6: Antarctic Peninsula and South Shetland Islands There are few places in the world as evocative as Antarctica. As we approach the white continent, don't be surprised if you are overcome by feelings of excitement and awe. 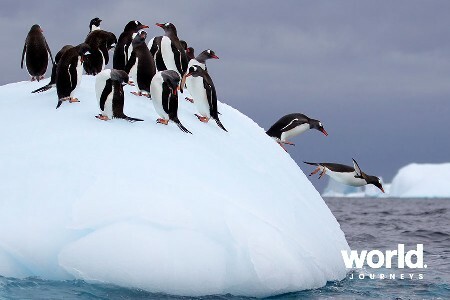 Much of Antarctica is indescribable and can only be fully appreciated through the human eye. Your first sightings will be from the ship itself. 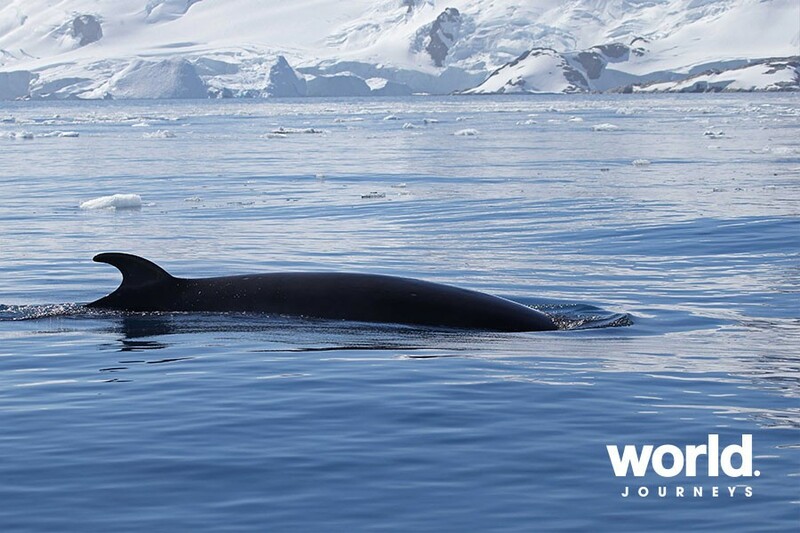 As the Captain and Expedition Team keep their eyes out for whales and seabirds, you'll be alerted to any new sightings. Our team of expert lecturers will also provide in-depth explanations of the geology, history and wildlife of the region. Even more exciting are your daily excursions to land. Your first Zodiac landing is something you'll never forget! Walking up to a beach that is dotted with penguins and seals is the most intimate way to experience the unique wildlife of Antarctica. Each landing is different and is dependent on weather, but every day presents new sightings and photo opportunities. 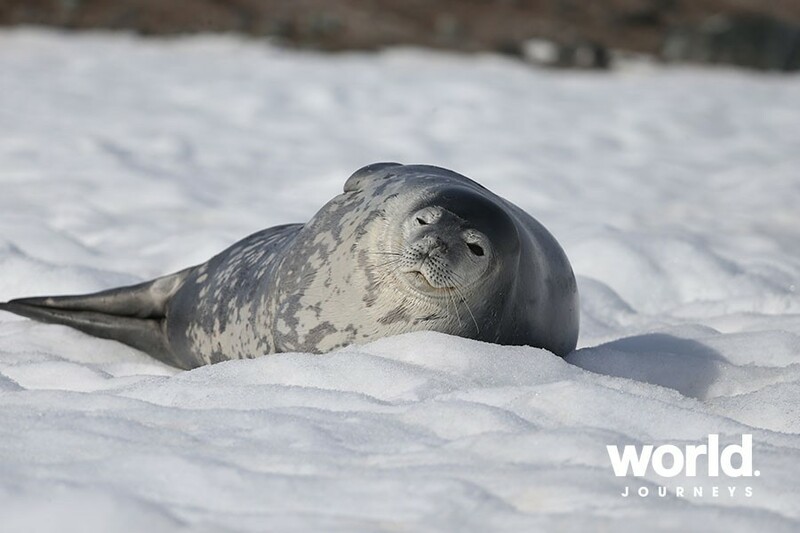 You may take a Zodiac cruise in search of whales and icebergs in Pleneau Island one day, followed by a hike to a chinstrap rookery the next day. 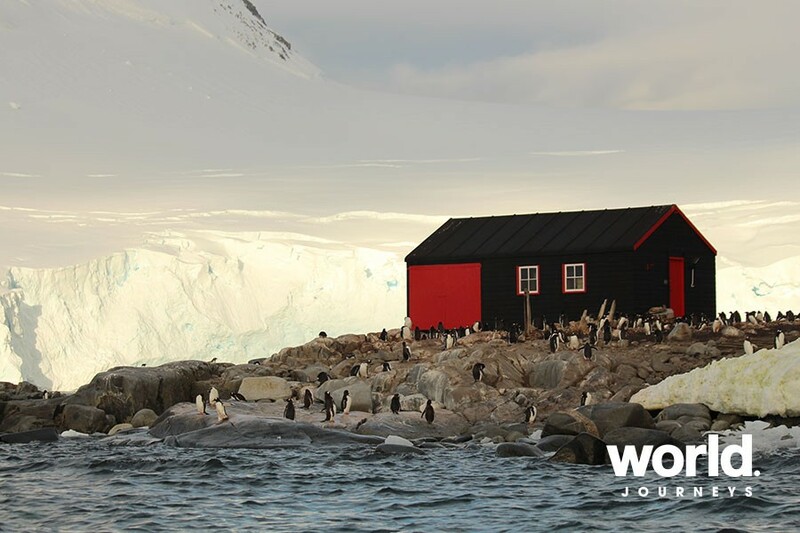 From the booming shot of a calving glacier at Petermann Island to the complete silence of night while camping in Antarctica, you'll welcome each day with the excitement and energy of a young child. Our Expedition Team will be with you all along, providing insights into the places you visit and offering photography tips to get the most out of your expedition. 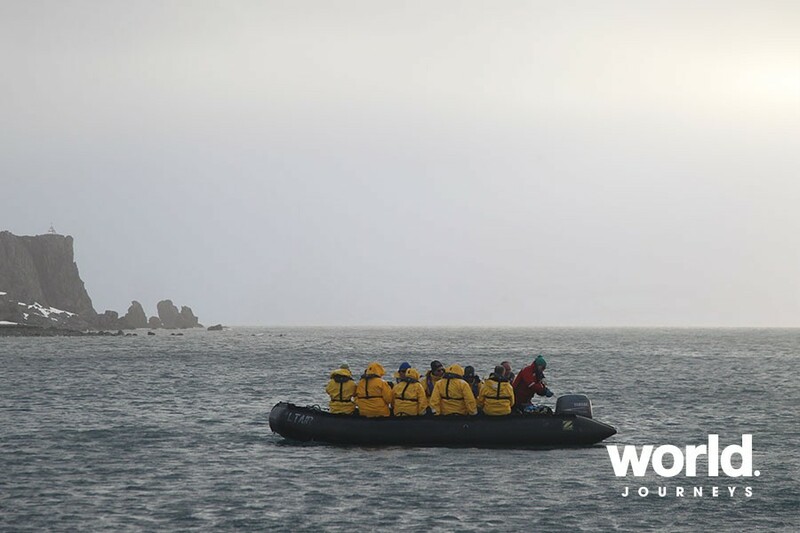 Day 7: Disembarkation and Fly to Punta Arenas After your four days of exploration, you'll say goodbye to the Expedition Team and disembark at King George Island. Your three-hour flight across the Drake Passage to Punta Arenas, Chile brings your journey to an end. 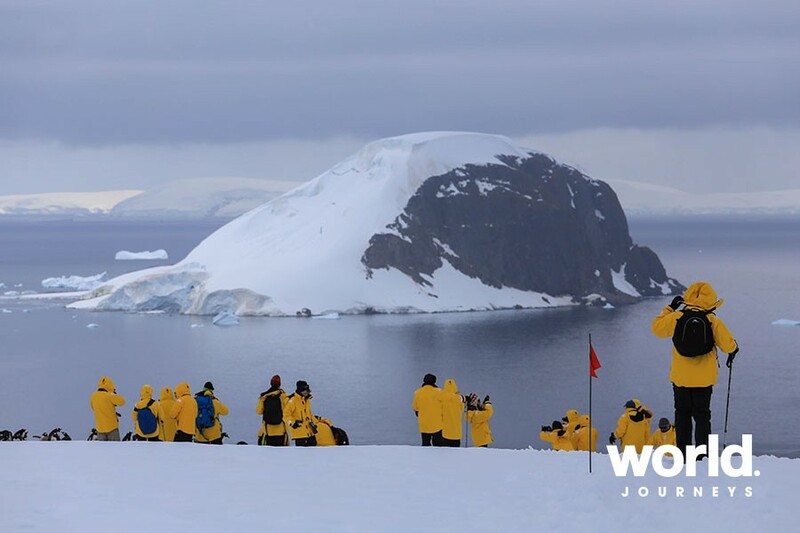 After we transfer you from the airport to the hotel, you can enjoy one final dinner (not included) to reminisce about all the sights and sounds of Antarctica. Day 8: Depart for Home After breakfast, you are free to continue on your own travels or make your way to the Punta Arenas airport for your homeward flights. Other cabin categories available, enquire for details. 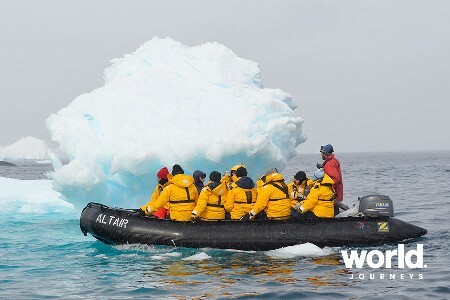 When travelling in remote regions, expedition staff must allow the sea, the ice and the weather to guide the route. The above is a tentative outline of what you will experience; no specific itinerary can be guaranteed. Single travellers will be matched with another traveller of the same gender and pay the share twin price. Single travellers who wish to have their own cabin please enquire. Book and confirm by 30 April 2019 to save up 10% to 15% on select departures Nov 2019 to Mar 2020. 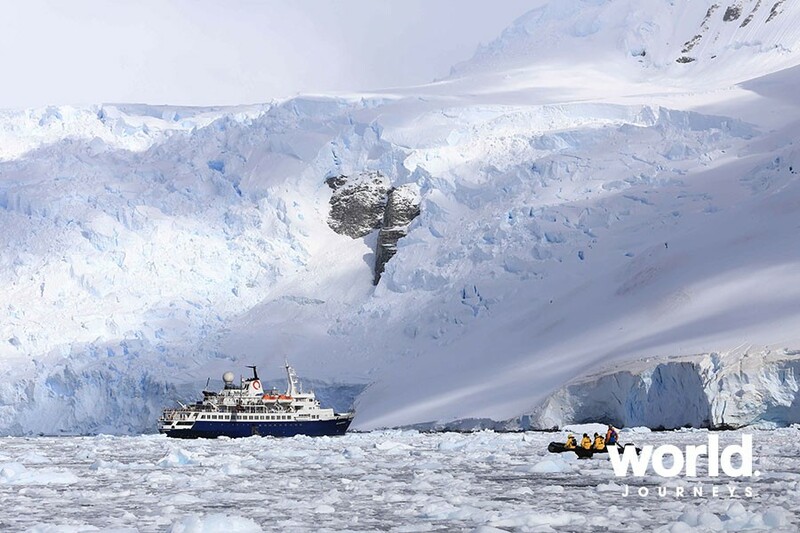 Conditions: Valid on bookings confirmed by 30 April 2019 for selected voyages to Antarctica departing Nov 2019 to Mar 2020. Only combinable with the First Time with Quark saving of 5%. Applies to voyage fare only. Excludes Triple cabins. Subject to availability.